Summer is in full swing! I don’t know about you, but I’m not super fussy with my makeup in the summer. Quick and easy application is key because I want to go outside and play! BB Creams are the answer to all my foundation needs in the summer (and on any rushed morning for that matter!). Last summer, I reviewed 5 of my favorite BB Creams (see that post here) and asked you all what your favorites were. I got the best recommendation from my lovely friend Sue over at Wine Wows! from Sue (if you need a wine rec or dinner idea, do yourself a favor and go read her blog right now!). She told me about Maybelline Dream BB Fresh. Guys, this stuff is amazing! The coverage of this product is stellar for a BB Cream. It glides on easily using your fingers making application a breeze. As far as the color range goes they have 3 options: Light/Medium (that’s what I have), Medium, and Medium/Deep. I find that most BB creams just blend so well into the skin that they just end up enhancing the skin’s tone, so an exact color match is not required. Plus, since it has SPF already, you don’t need to apply an additional sunscreen! Score! This has quickly become my favorite BB Cream and one I’m sure to be rocking all summer long! I highly recommend checking it out if you haven’t tried it yet. It’s so good! What’s the best product recommendation that you’ve ever received? Today, let’s talk marketing. I’m a geneticist, so I know nothing about marketing, but I do know stores want us to spend money (duh!). They position their products on their shelves accordingly. Just because a product is inexpensive and has a home on the bottom shelf of the store, doesn’t mean it’s bad. 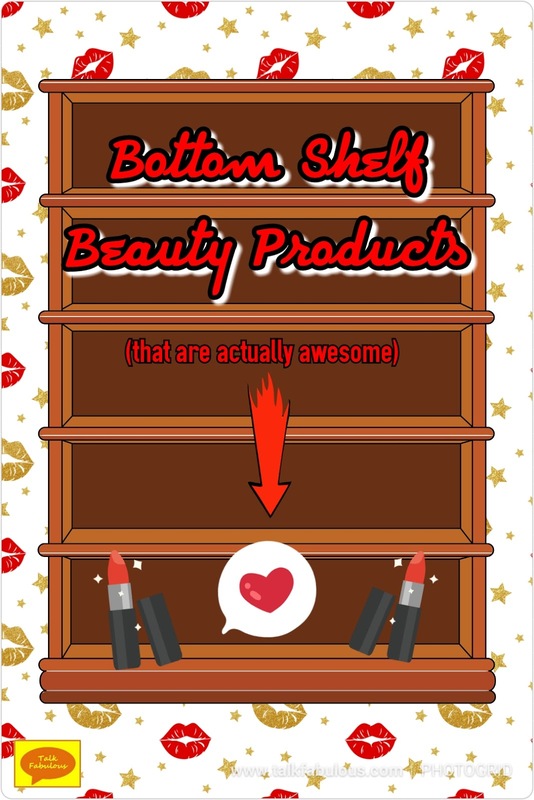 Here are a few of my favorite bottom shelf beauty products! 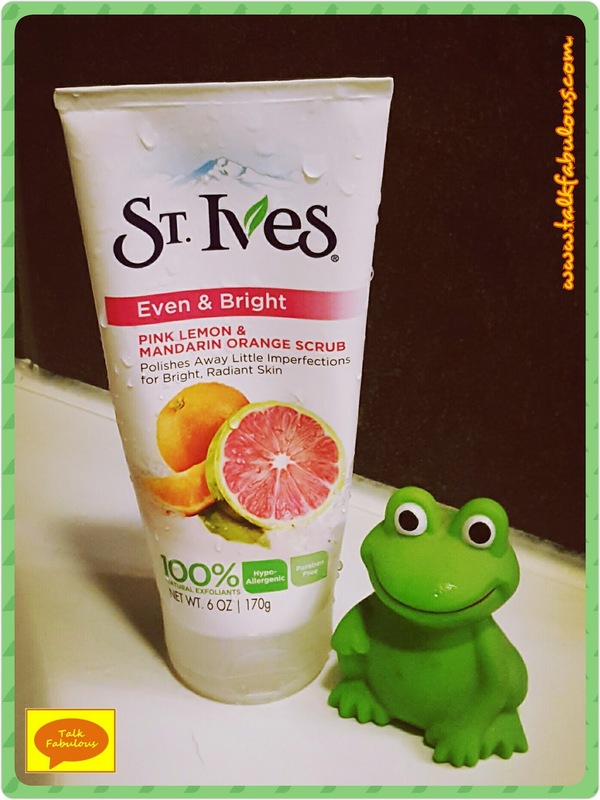 I love St. Ives face scrubs (find the brightening one here). One of my first Fabulous Finds Friday was about this face scrub (see the post here). It’s gentle enough to use every day and does what it claims. With a price tag of around $3.50, that’s quite a deal! St. Ives lotion is also quite nice. In fact, I would try about anything from the St. Ives brand. Even though you usually find it on the bottom shelf, it’s a quality brand with good products. This was a new find for me. I’m an oily skin girl, but in the depths of winter, my skin needs a little extra hydration. I saw this on the bottom shelf and thought I’d give it a try (find it here). I’m so glad I did! 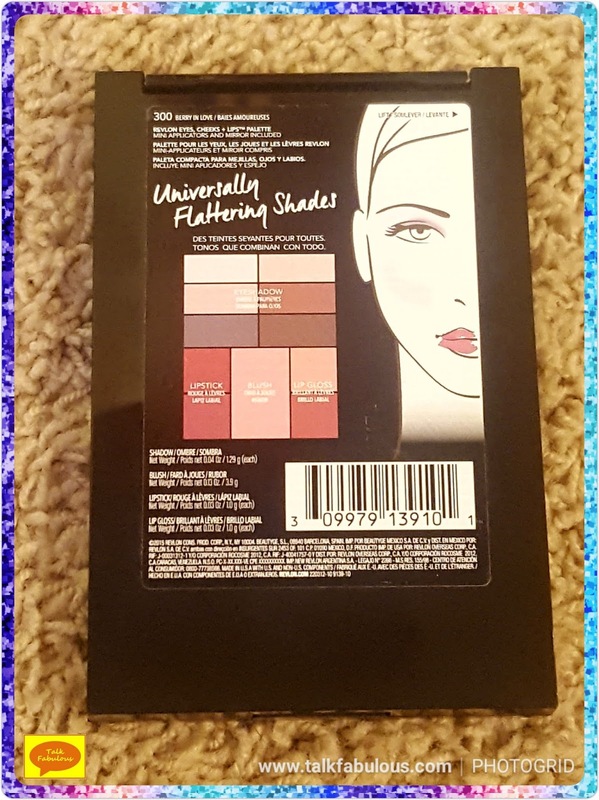 It’s a great moisturizer and looks great under makeup. Even better, it only costs about $5! Another great deal! As the weather gets warmer (thank goodness! ), my oily skin doesn’t need as much moisture, so I’ll be switching back to a lightweight moisturizer. 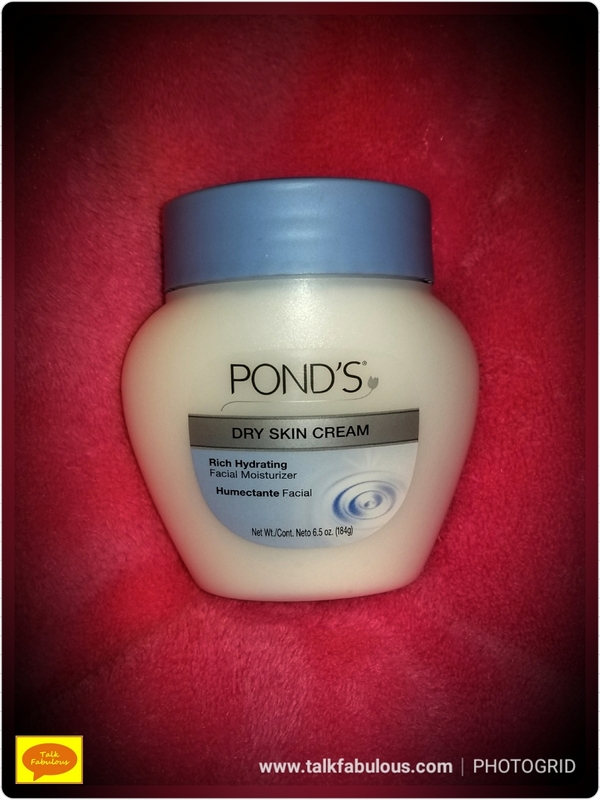 However, my dry skinned girls out there would love, love, love this product! 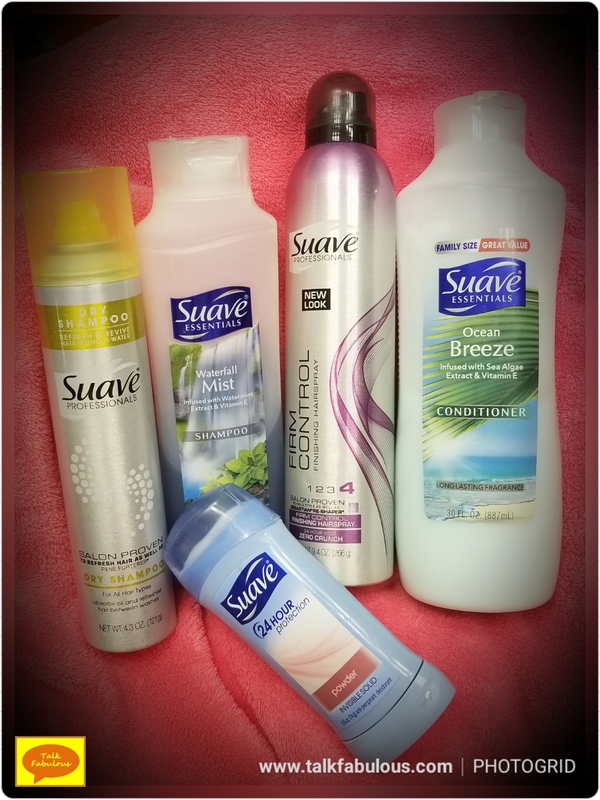 I love all things Suave. 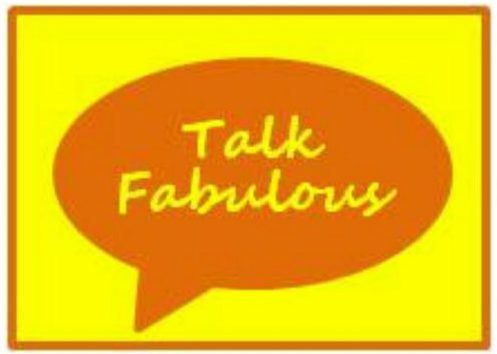 From their dry shampoo to their shampoo/conditioner to their lotion to their hairspray to their deodorant, it’s all fabulous. For some reason, these products are often found on the bottom shelf (oh right, because they’re inexpensive). As far as I’m concerned, though, they should be front and center! What are your favorite inexpensive beauty products? Today, let’s talk coats. Outerwear isn’t something we always put a lot of thought into. For many of us, we pick out winter wear by asking ourselves one question…is it warm? If the answer is yes, it finds its way into our hall closets. Although warmth is a priority, maybe some other factors should come up in our quest for winter wear, such as fit. Does the coat make you feel fabulous? What about the color? So many coats are shades of grey or black or brown, aka dark winter colors. I don’t know about you, but I want to brighten up winter as much as possible and my coat choices certainly fit the bill. 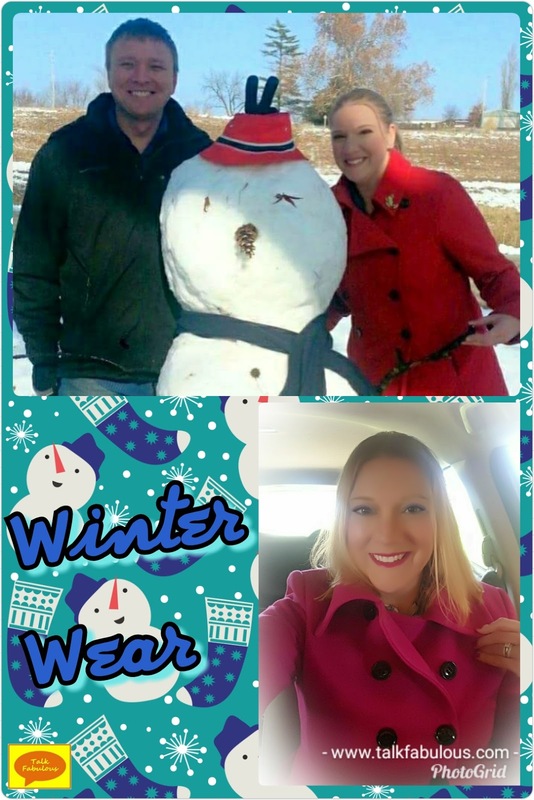 Here are two of my favorite winter coats. They are both wool and oh so warm! The cut is super flattering and best of all, they’re bright colors! Love it! 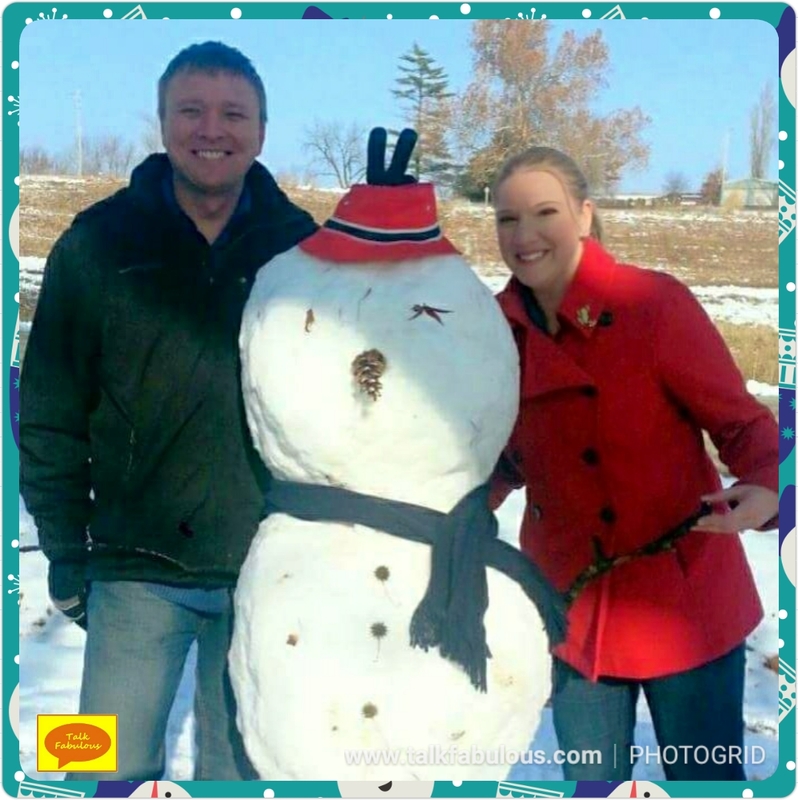 The hubby and I with the snowman our family made on New Year’s last year! The idea for this post came from Patrice over at Looking Fly on a Dime. She’s hosting a style challenge called Try It, Wear It, Love It (read her post about it here). Every day she gives us a fashion theme, we try it and hopefully love it. 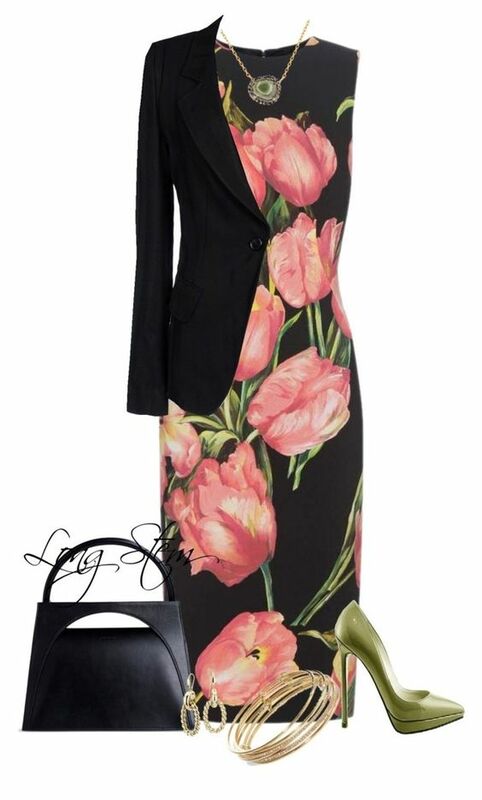 It’s all about finding new outfit combinations or pieces you’ve forgotten about in your existing wardrobe. All are welcome, so follow along and participate on Instagram using the hashtag #trywearlove. 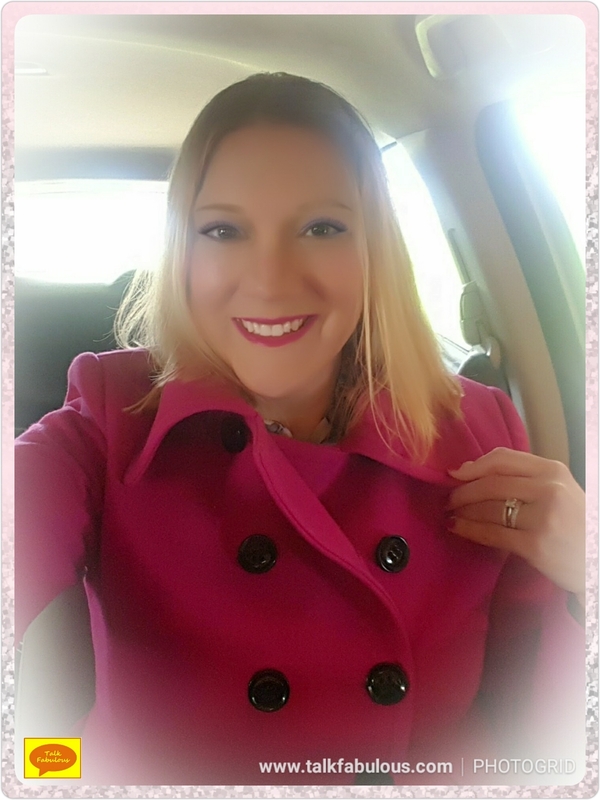 Today’s challenge is Outerwear, so it’s the perfect showcase for my bright coats! What’s your winter wear of choice? Today, let’s talk skepticism. 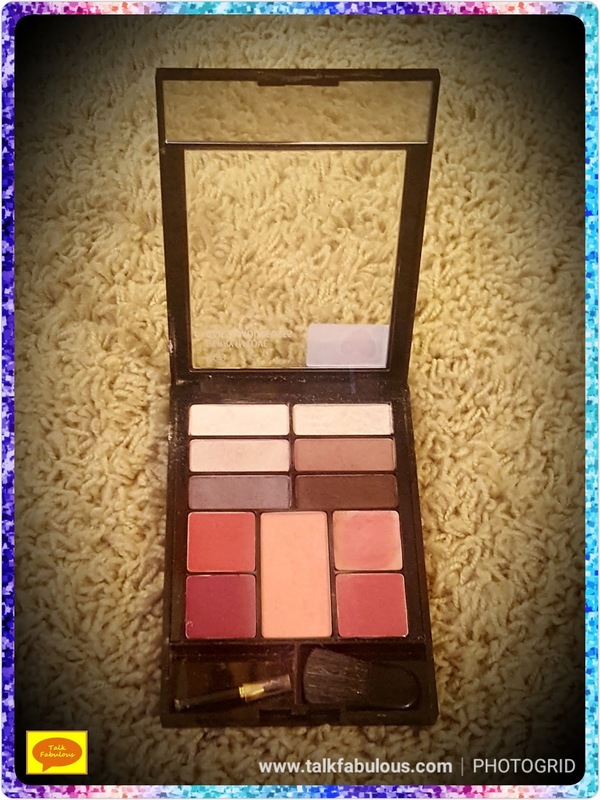 For a long time, I was quite skeptical of those all-in-one palettes. You know the ones, they have eyeshadows and blush and lipstick all in one compact. I just couldn’t wrap my mind around having cream products next to powdery ones and how messy that must get. Did I actually try it, though? No, no I didn’t. Was I missing out big time? Yes, yes I was. Last week, the Thanksgiving holiday brought a chance for the hubby and me to visit my family back in Kansas. All the good food and good company are reason enough to be excited to go home. One extra perk is that oftentimes my mom has a pile of things she bought that didn’t work for her, but she thinks will work for me. Aren’t moms the best? This trip she had an all-in-one palette from Revlon (find it here). 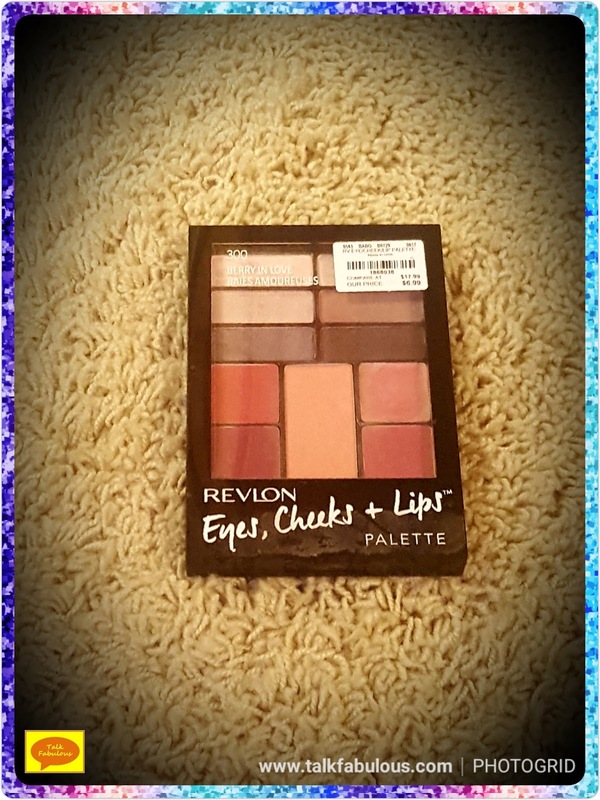 There are 3 shade choices for this palette; mine is Berry in Love. 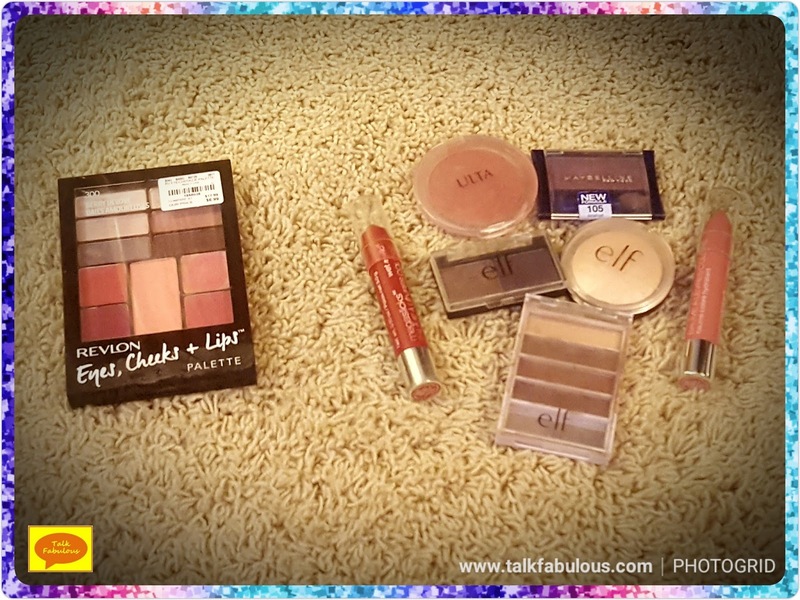 It includes 6 eyeshadows, 1 blush, 2 lipsticks, 2 lip glosses, a mirror, and mini applicators. The applicators actually aren’t bad, but preferably I would use my own brushes. The mirror is a little small, but usable. The colors are said to be universally flattering, and they are certainly very pretty. The blush is a little light on my skin tone. It does layer well, so with a little extra work you can get a good color payoff. I wish the pan for the blush was bigger as it’s difficult to use a full-size blush brush, but it’s workable. The palette doesn’t come with a highlight, but you can easily use any of the lighter eyeshadow shades for that purpose. As I mentioned, my biggest fear was that the powder products would get all up into the cream products. I’m happy to say, that has not been an issue yet. So far so good! My favorite part of this palette is the convenience. This can replace 5 products you would normally have to include in your makeup bag with this one palette. With holiday travel season upon us (and any traveling for that matter) space is at a premium. If I can pack a product that saves precious space, that’s a big plus. It’s also nice not having to think about coordinating your eyeshadow, blush, and lipstick choices. It’s all right there, already optimized with universally flattering colors that work well together. It’s quick and easy to just throw in your bag and go. That I like and you will too! If you’re like me and were skeptical of the all-in-one palette, just try it out. You won’t be disappointed! 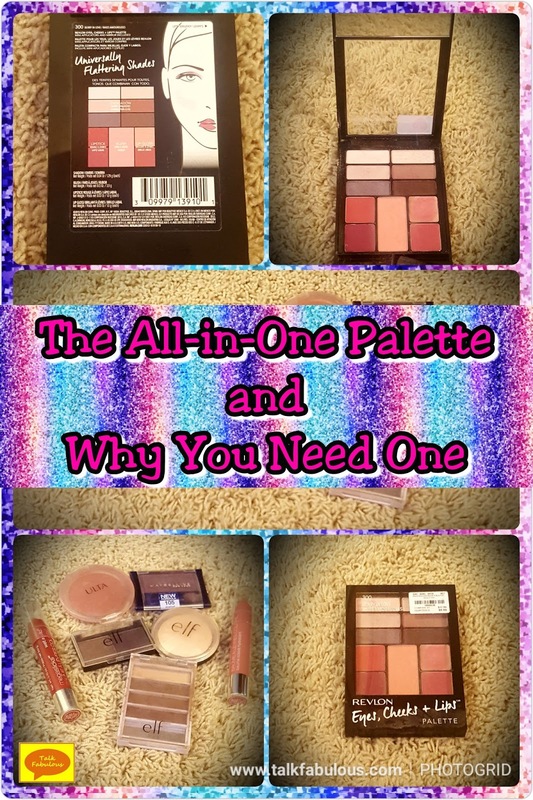 Have you used an all-in-one palette? Today, let’s talk homemade gift ideas. 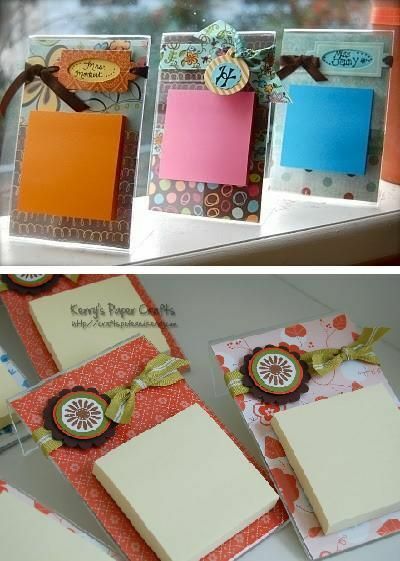 I love the thought of putting my creative juices to work this time of year with a good ‘ole homemade gift. Problem is, sometimes (okay maybe most of the time) I way underestimate the amount of time it takes to actually make the said gift. This gets me into trouble and I end up rushing out to buy something Christmas Eve. No more, my friends, no more. I took to Pinterest in search of a cute and easy homemade gift. Specifically, I was looking for something to make my co-workers. Since they are all women, this made the search easier. When I came across the inspiration photo, I knew it was the one! It looked easy, cute, and even functional! Score! 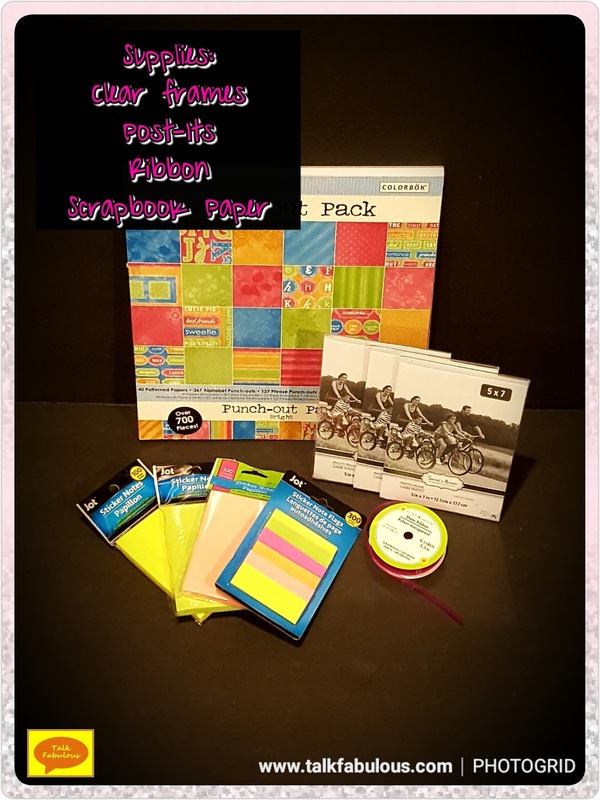 You’ll need some clear frames (I used 5×7 ones from the dollar store), sticky notes in assorted colors and sizes (again, I got mine from the dollar store), ribbon (you guessed it, from the dollar store), and scrapbook paper. 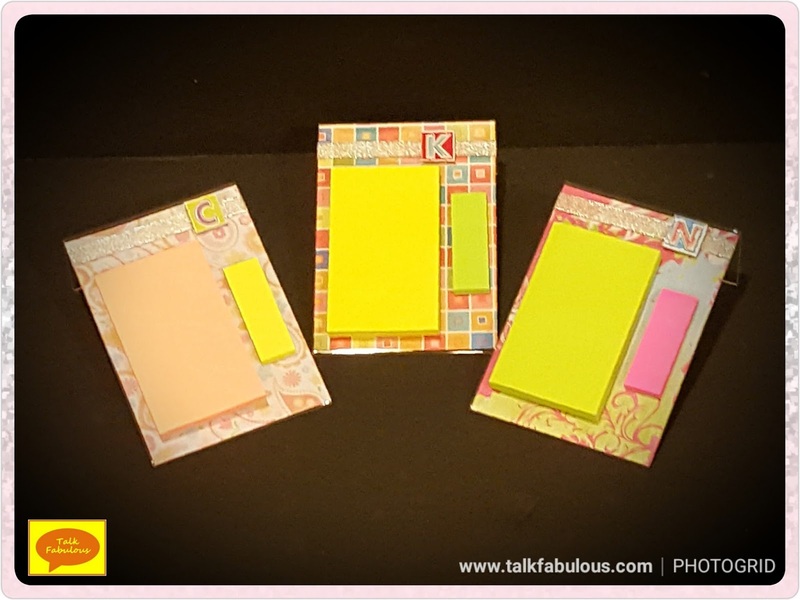 First, cut the scrapbook paper to fit your frames and place the paper inside the frame. Next, secure ribbon to the top of the frame using some tape. I simply wrapped the ribbon around the frame, but you could tie a bow or do something fancy here if you so desired. To give it a little something extra, I added their initial to the ribbon. 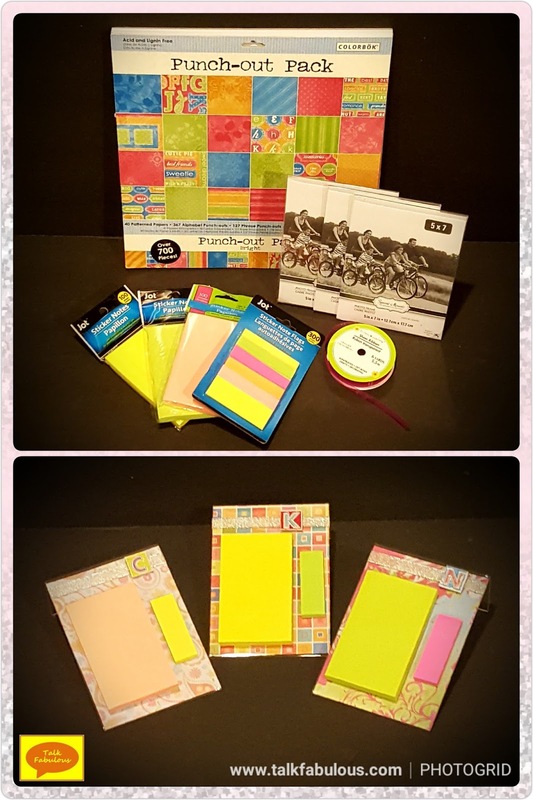 Finally, attach the sticky note pads using glue dots. I tried tape, but that didn’t work at all. Glue here would be the best choice. That’s it! Now you have a cute and functional homemade holiday gift! Do you make homemade gifts? 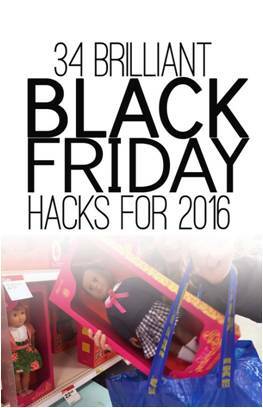 This post is based on an article by The Krazy Coupon Lady called 34 Brilliant Black Friday Hacks for 2016. While there is a lot of great and super useful information in this article, 34 tips are more than I can handle. 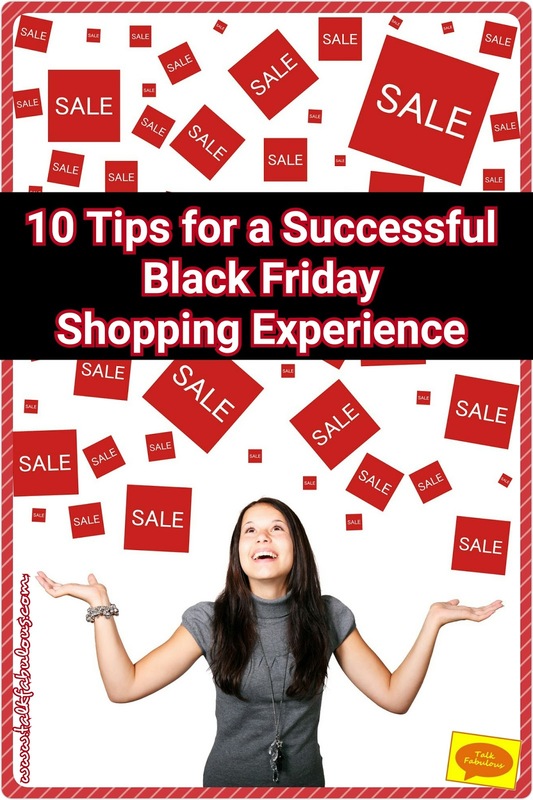 Let’s break it down into 10 tips for a successful Black Friday shopping experience! Scout your go-to stores the day before Thanksgiving. Most of the displays should be set up by this time. For people who travel for the holiday, this may be difficult, but it can help save time at the wee hours of the morning for sure! Make your final list by store and order the items by importance. In my family, we have several drafts of the same list before we get to our final. It’s a process. Remember to not only stock up for Christmas but birthdays, weddings, baby showers, etc. as well! Look for door-buster guarantees. This is mostly a Wal-Mart thing, and Wal-Mart is not my favorite place to go on Black Friday. Actually, I avoid it at all costs. However, if they have a TV I want for cheap, their door-buster guarantee is a life-saver. All you do is go in during the advertised time-frame, buy a voucher for the item you want, and pick it up before Christmas. That I can handle! Avoid wearing red, especially if you’re going to Target. Do wear bright colors or an easily recognized shirt so your group can find you easily in the crowd. Leave the kiddos and hubbys at home. Unless your hubby is my brother in which case he may come along. My brother is a great shopper! Shop with a group, but not a large group. Two to four people is a good number. Ditch the shopping carts and use reusable bags instead. This of course only works if you’re purchasing smaller items. If you must get a cart, have 1 cart and 1 driver for your group. The other people are runners and bring items back to the cart. This avoids having to drive the cart through the crowded aisles, which will only slow down your progress. Shop online. My mom and I discovered the joy of this last year when a winter storm decided to plague our town on Black Friday morning. You can expect everything, except door-busters, to be available online. If you hate crowds and getting up before dawn, this is the option for you! Use gift cards for purchases. As The Krazy Coupon Lady mentions you can go to Raise.com and buy discounted gift cards. This can save you more money on top of the awesome Black Friday deals you’re already getting! BONUS tip! JCPenney and Menards are my favorite stores for Black Friday (and all year round actually). You are guaranteed to find great deals for everyone on your list at both of these stores. Every year, these are the 2 places we go for sure. 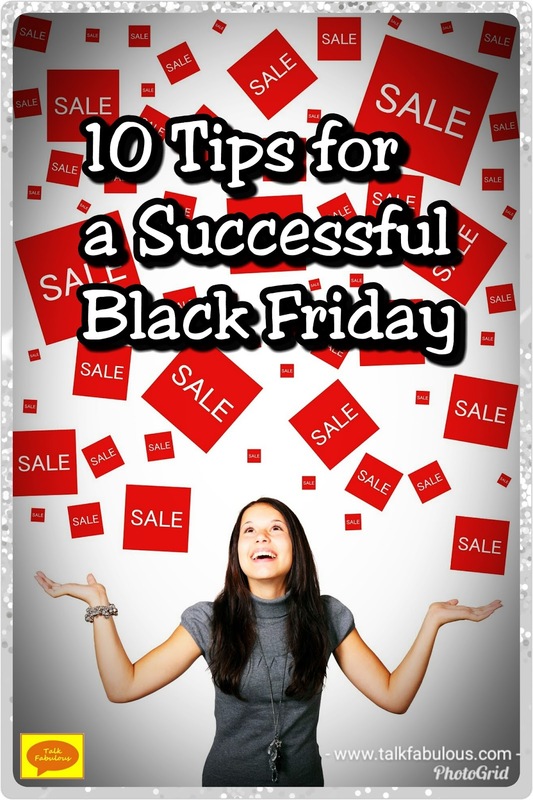 Hope these shopping tips help you have a fabulous Black Friday trip! Leave me a comment down below and let me know how your shopping experience turned out! Today, let’s talk about this striped shirt. In case you haven’t noticed, I love this shirt (see it in posts here and here). 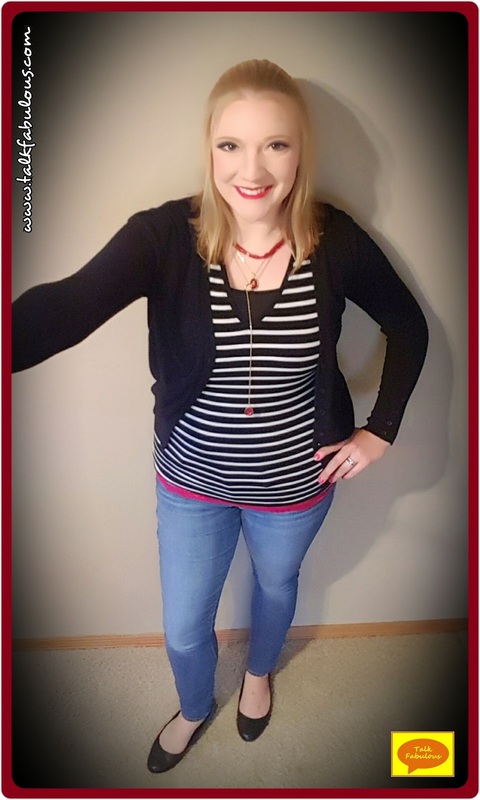 I still can’t even believe it was only a few dollars on ThredUp! What a great find! Okay, enough of that, on to the outfit! I’ve had this inspiration photo on my Pinterest board for a while now. I love the looks of it, but never could quite get the look right. Using my new-to-me striped shirt, I decided to adjust the patterns in the outfit a bit while still keeping the same vibe. Instead of the striped skirt, I opted for a striped shirt. Instead of the black top, I chose to wear the black as a sweater. Instead of the jean jacket, I wore jeans. See what I’m going for here? I just moved the pieces around, and I’m really loving the results! I wonder what other inspiration photos are lurking in my Pinterest boards just waiting to be recreated using this technique? I better go take a look and I’ll keep you posted! It seems like stripes are everywhere these days. Are you loving the stripe trend? 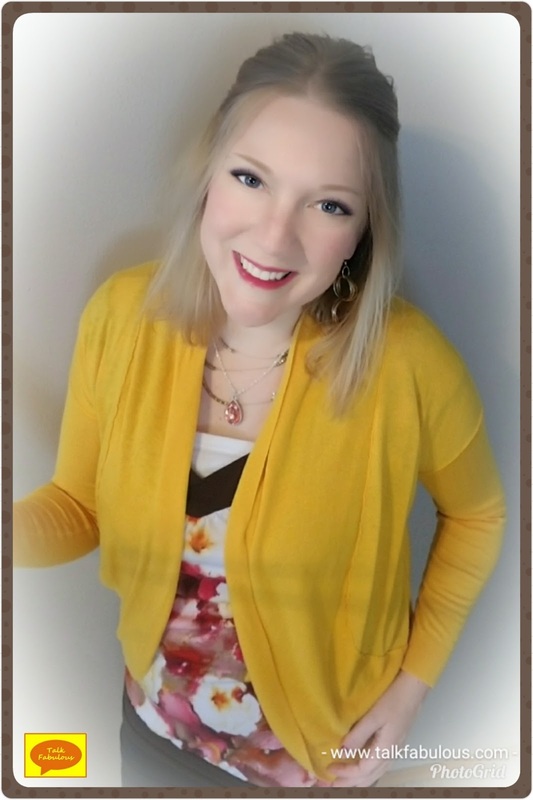 Today, I’m sharing another great find from thredUP. This is not a sponsored post, I just really love the company! What’s better than sitting on your couch, curled up in a blanket, watching TV, a coffee in hand, browsing through thousands of super affordable clothing options on your thredUP app? That’s a pretty nice little Saturday (or any day ending in y for that matter) if you ask me! We’ve all heard me say this many times (here, here, here, here, and here) but just in case you missed it, thredUP is great because it gives a second life to clothes that would’ve otherwise gone into the trash. Do used clothes creep you out? No worries! The app lets you filter by all sorts of things, including condition. Simply hit the “New with Tags” option and off you go! thredUP is awesome, check it out! Now, on to the outfit! I often turn to thredUP for fancier items that I wouldn’t dream spending full price on. This dress is the perfect example. I work in a casual environment, so I have very little need for dressier pieces. That doesn’t mean, I don’t want some dressier pieces. This dress really caught my eye with its colorful top, so I threw it in my cart, and couldn’t wait for it to arrive. As always, when I saw that polka-dot box on my front porch, I ran out to get it, tore it open, and tried on all the clothes. This dress fit like a dream! The top is quite colorful and was a little loud for fall. Luckily, I found the inspiration photo on Pinterest and threw a sweater over it. Perfect! Not only did the sweater tone down the look, it also added warmth on these early fall days. This is a dress I’m so happy I added to my collection and I can’t wait to wear it some more! 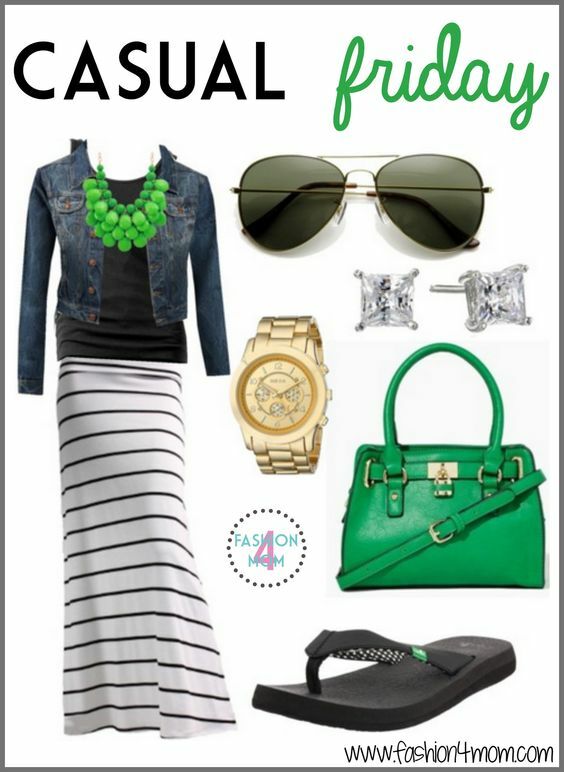 Want to try thredUP? Use my link to get $10 off your first order! You’ll love it! 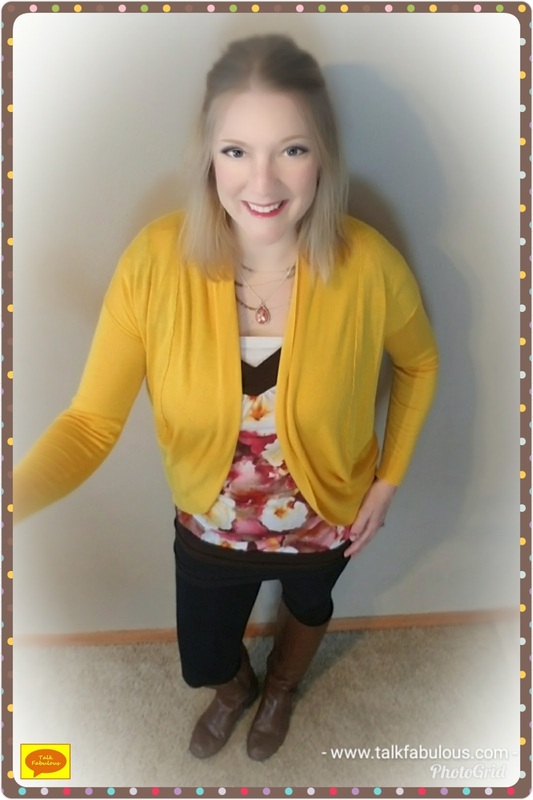 Have you tried thredUP? What’s your favorite find?